For the current status of new and used manufactured homes being offered for sale by Sigrist Homes in Rocklin Estates: Click Here. For the current status of the new manufactured homes with attached garages being offered for sale by Sigrist Homes in Rocklin Estates II: Click Here. 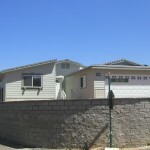 Search for used homes on Metrolist. 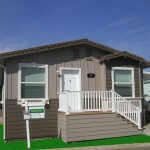 Sigrist Homes is a dealer for Redman manufactured homes. All new homes are finished and complete with the Rocklin Estates required accessories such as carport awnings.